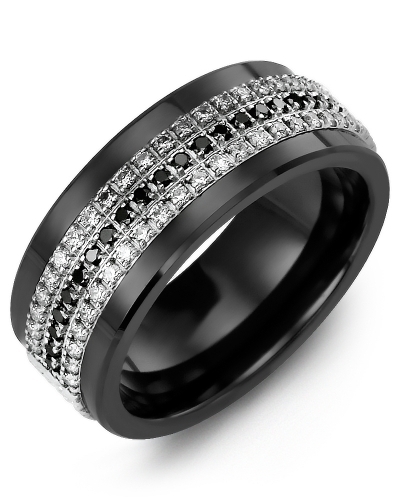 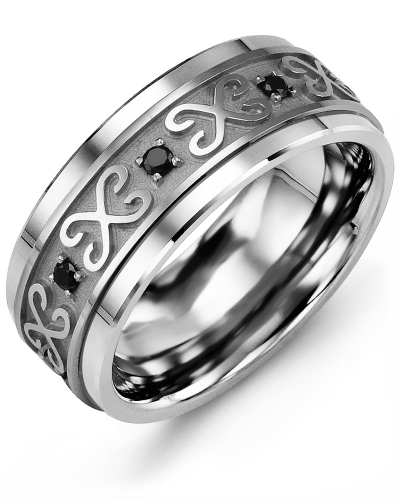 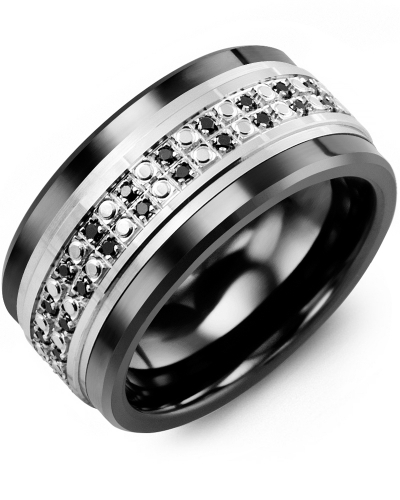 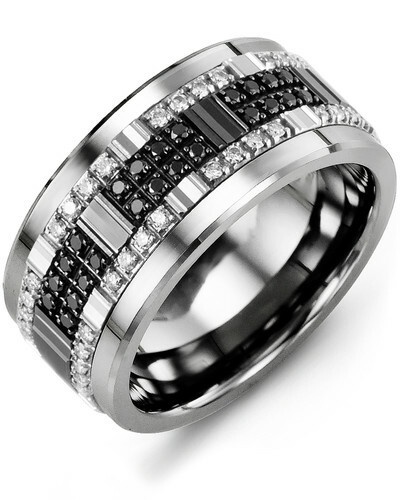 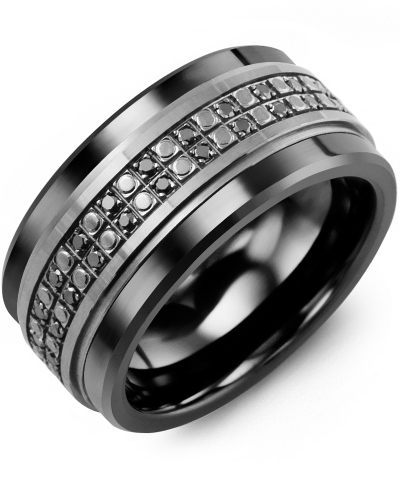 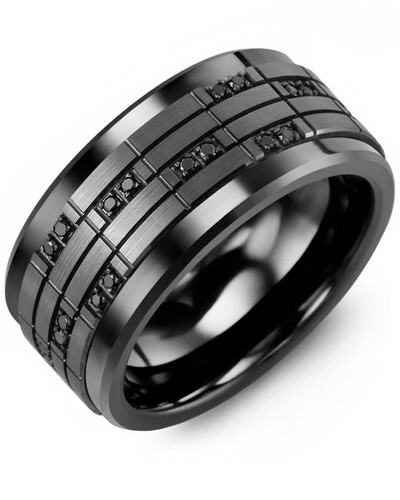 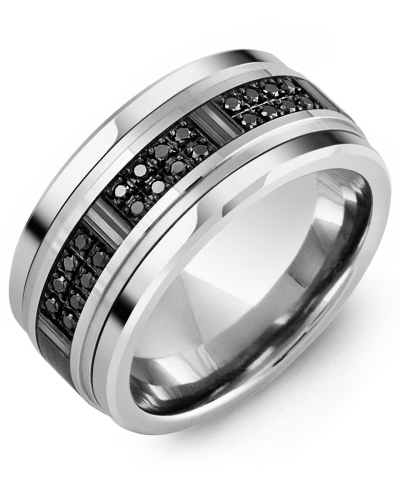 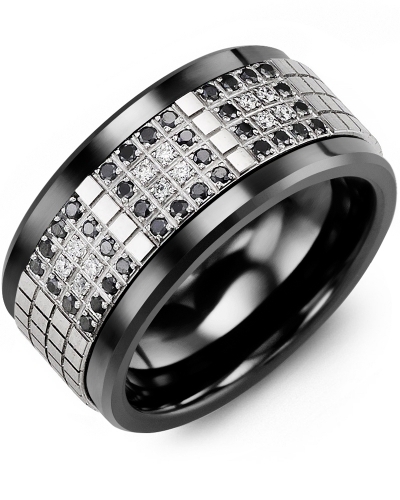 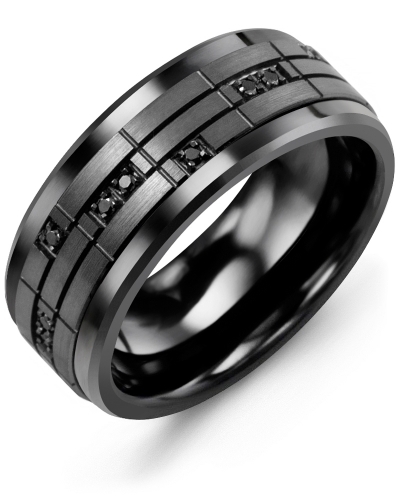 MKB - Large Eternity Black Diamond Wedding Band A timeless and elegant ring for men with great detailing, this Men’s Large Eternity Black Diamond Wedding Band features a raised gold insert set with larger glistening black diamonds for a real masculine feel. 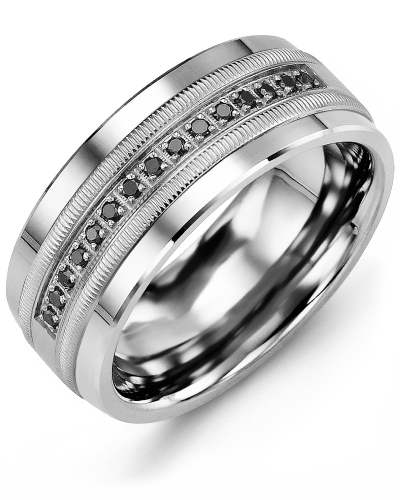 For maximum effect, the diamonds stretch half way around the ring. 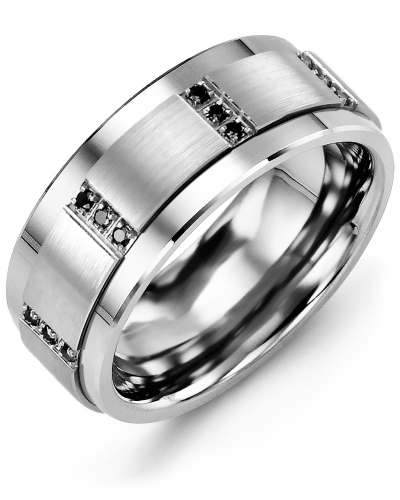 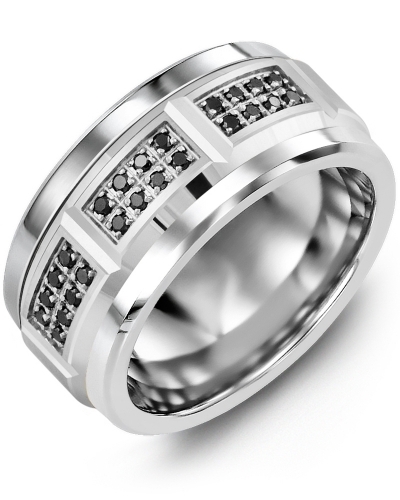 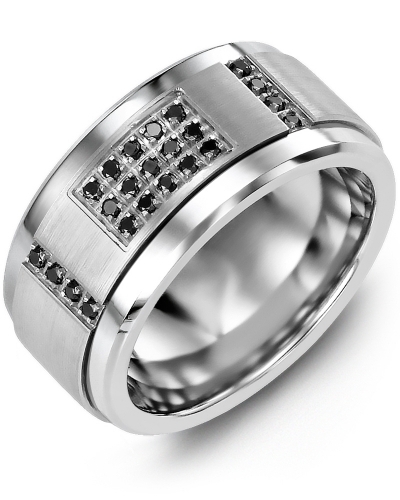 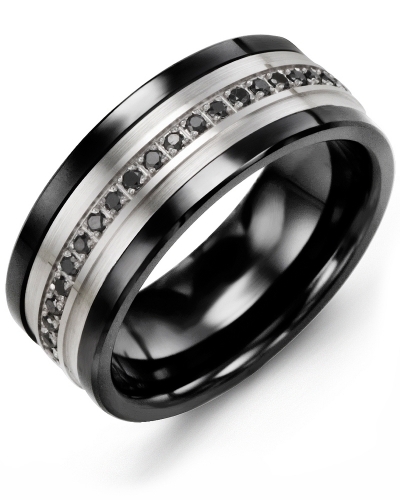 This gold and tungsten ring, cobalt ring, or ceramic ring for men is available in several variations including different ring widths, quantity of diamonds, karat and gold color. 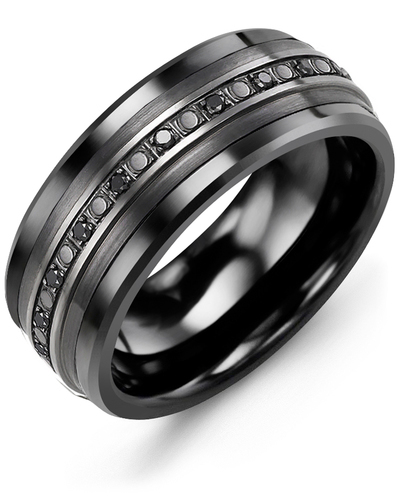 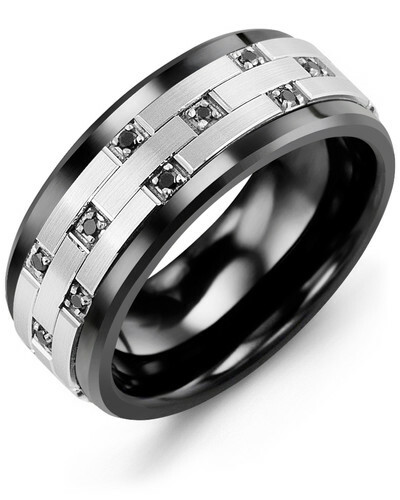 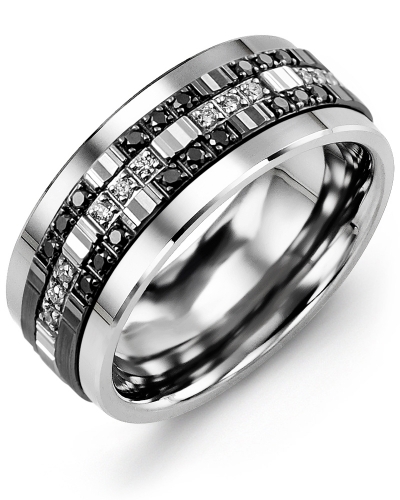 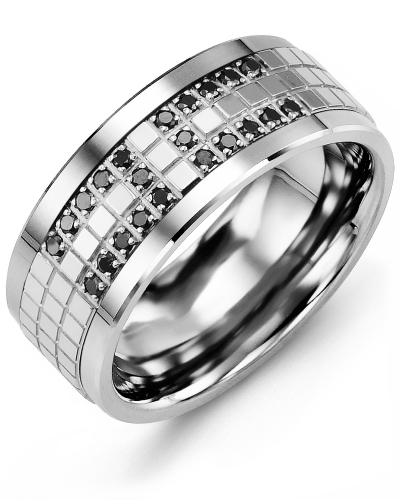 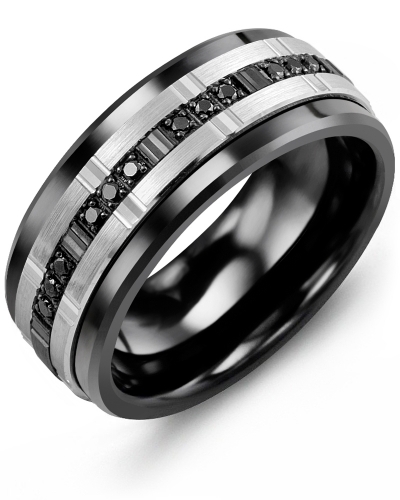 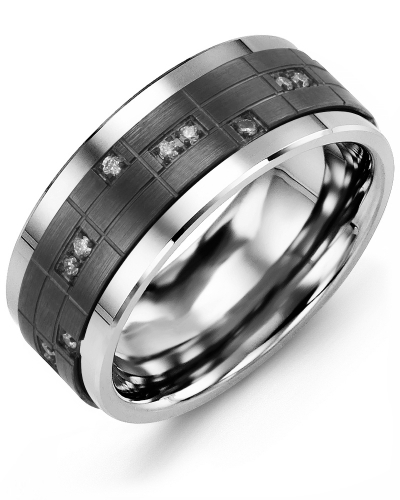 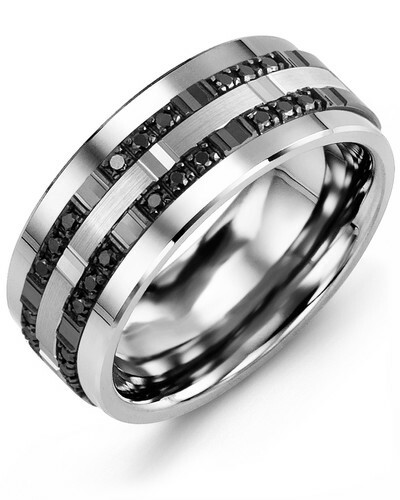 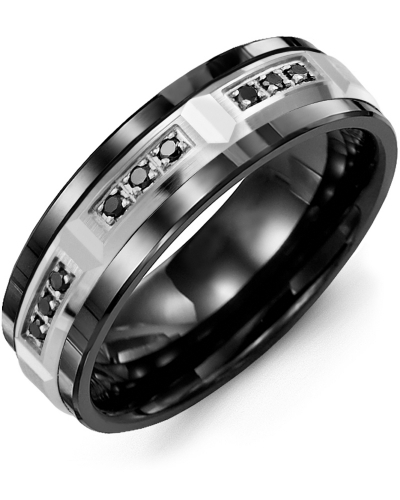 A timeless and elegant ring for men with great detailing, this Men’s Large Eternity Black Diamond Wedding Band features a raised gold insert set with larger glistening black diamonds for a real masculine feel. For maximum effect, the diamonds stretch half way around the ring. 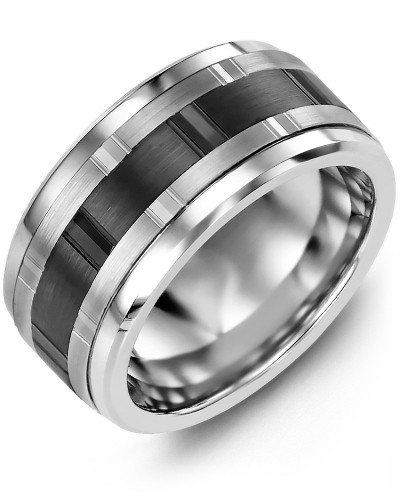 This gold and tungsten ring, cobalt ring, or ceramic ring for men is available in several variations including different ring widths, quantity of diamonds, karat and gold color.